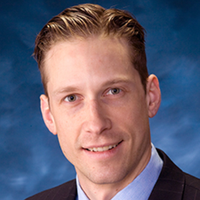 Dr. Paul A. Gardner is an Associate Professor of Neurological Surgery at the University of Pittsburgh School of Medicine and Co-Director of the Center for Skull Base Surgery. 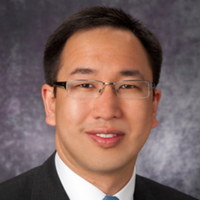 He specializes in endoscopic endonasal skull base surgery, pituitary tumors, and vascular neurosurgery. 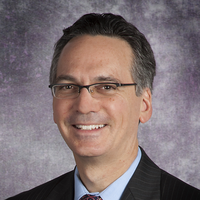 Dr. Gardner received his medical degree from the University of Pittsburgh School of Medicine, where he also completed a two–year fellowship focusing on endoscopic endonasal pituitary and skull base surgical techniques. 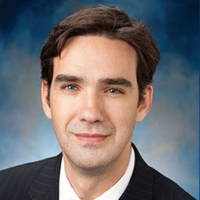 Dr. Gardner’s research has focused on evaluating patient outcomes following these surgeries. He has published numerous articles in his field. Dr. Gardner is a member of the Alpha Omega Alpha Honor Society, American Association of Neurological Surgeons, Congress of Neurological Surgeons, and North American Skull Base Society. Mathias RN, Lieber S, Pires de Aguiar PH, Calfat Maldaun MV, Gardner P, Fernandez-Miranda JC. Interfascial dissection for protection of the nerve branches to the frontalis muscles during supraorbital trans-eyebrow approach: an anatomical study and technical note. J Neurol Surg B. 2016 Jun;77(3):265-70. Snyderman CH, Gardner PA, Lanisnik B, Ravnik J. Surgical telementoring: a new model for surgical training. Laryngoscope. 2016 Jun;126(6):1334-38. Yoshino M, Abhinav K, Yeh FC, Panesar S, Fernandes D, Pathak S, Gardner PA, Fernandez-Miranda JC. Visualization of cranial nerves using high-definition fiber tractography. Neurosurgery. 2016 Apr 11 [Epub ahead of print]. Rowan NR, Wang EW, Gardner PA, Fernandez-Miranda JC, Snyderman CH. Nasal deformities following nasoseptal flap reconstruction of skull base defects. J Neurol Surg B. 2016 Feb;77(1):14-18. Tepedino MS, Pinheiro-Neto CD, Bezerra TF, Gardner PA, Snyderman CH, Voegels RL. Endonasal identification of the orbital apex. Laryngoscope. 2016 Jan;126(1):33-8. Gande AV, Chivukula S, Moossy JJ, Rothfus W, Agarwal V, Horowitz MB, Gardner PA. Long-term outcomes of intradural cervical dorsal root rhizotomy for refractory occipital neuralgia. J Neurosurg. 2015 Dec 18:1-9 [Epub ahead of print]. Kooshkabadi A, Choi PA, Koutourousiou M, Snyderman CH, Wang EW, Fernandez-Miranda JC, Gardner PA. Atlanto-occipital instability following endoscopic endonasal approach for lower clival lesions: Experience with 212 cases. Neurosurgery. 2015 Dec;77(6):888-97. Ying T, Thirumala P, Gardner P, Habeych M, Crammond D, Balzer J. The incidence of early postoperative conductive hearing loss after microvascular decompression of hemifacial spasm. J Neurolog Surg B. 2015 Dec;76(B6):411-5. Mathias RN, Lieber S, Pires de Aguiar PH, Calfat Maldaun MV, Gardner P, Fernandez-Miranda JC. Interfascial dissection for protection of the nerve branches to the frontalis muscles during supraorbital trans-eyebrow approach: an anatomical study and technical note. J Neurol Surg B. 2015 Nov 30 [Epub ahead of print]. Wang WH, Abhinav K, Wang E, Snyderman C, Gardner PA, Fernandez-Miranda JC. Endoscopic endonasal transclival transcondylar approach for foramen magnum meningiomas: surgical anatomy and technical note. Neurosurgery. 2015 Nov 3 [Epub ahead of print]. Gardner PA, Vaz-Guimaraes F, Jankowitz B, Koutourousiou M, Fernandez-Miranda JC, Wang EW, Snyderman CH. Endoscopic endonasal clipping of intracranial aneurysms: surgical technique and results. World Neurosurg. 2015 Nov;84(5):1380-93. Elangovan C, Singh SP, Gardner P, Snyderman C, Tyler-Kabara EC, Habeych M, Crammond D, Balzer J, Thirumala PD. Intraoperative neurophysiological monitoring during endoscopic endonasal surgery for pediatric skull base tumors. J Neurosurg Pediatr. 2015 Oct 20:1-9 [Epub ahead of print]. Zhang X, Wang EW, Wei H, Shi J, Snyderman CH, Gardner PA, Fernandez-Miranda JC. Anatomy of the posterior septal artery with surgical implications on the vascularized pedicled nasoseptal flap. Head Neck. 2015 Oct;37(10):1470-6. Shin SS, Murdoch G, Hamilton RL, Faraji AH, Kano H, Zwagerman NT, Gardner PA, Lunsford LD, Friedlander RM. Pathologic response of cavernous malformations following radiosurgery. J Neurosurg. 2015 Oct;123(4):938-44. Gardner PA, Fernandez-Miranda JC, Snyderman CH, Wang EW. Letter to the Editor: Screw fixation technique. J Neurosurg Spine. 2015 Oct;23(4):536-7. Vaz-Guimaraes F, Rastelli Jr MM, Fernandez-Miranda JC, Wang EW, Gardner PA, Snyderman CH. Impact of dynamic endoscopy and bimanual-binarial dissection in endoscopic endonasal surgery training: a laboratory investigation. J Neurol Surg B. 2015 Sep;76(5):365-71. Chabot JD, Gardner P, Fernandez-Miranda JC. Anterior transpetrosal approach for resection of recurrent skull base chordoma: 3-dimensional operative video. Neurosurgery. 2015 Sep;11 Suppl 3:464-5. Abhinav K, Acosta Y, Wang WH, Bonilla LR, Koutourousiou M, Wang E, Snyderman C, Gardner P, Fernandez-Miranda JC. Endoscopic endonasal approach to the optic canal: Anatomic considerations and surgical relevance. Neurosurgery. 2015 Sep;11 Suppl 3:431-46. Stapleton AL, Tyler-Kabara EC, Gardner PA, Snyderman CH. Endoscopic endonasal surgery for benign fibro-osseous lesions of the pediatric skull base. Laryngoscope. 2015 Sep;125(9):2199-203. Shin SS, Gardner PA, Ng J, Faraji AH, Agarwal N, Chivukula S, Fernandez-Miranda JC, Snyderman CH, Challinor SM. 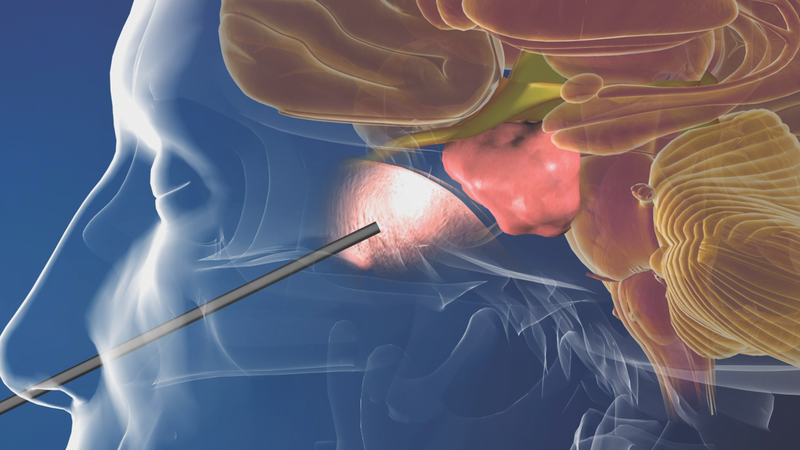 Endoscopic endonasal approach for ACTH-secreting pituitary adenomas: outcomes and analysis of remission rates and tumor biochemical activity with respect to tumor invasiveness. World Neurosurg. 2015 Aug 4 [Epub ahead of print]. Vaz-Guimaraes F, Su SY, Fernandez-Miranda JC, Wang EW, Snyderman CH, Gardner PA. Hemostasis in endoscopic endonasal skull base surgery. J Neurol Surg B Skull Base. 2015 Aug;76(4):296-302. Grandhi R, Hunnicutt CT, Harrison G, Zwagerman NT, Snyderman CH, Gardner PA, Hartman DJ, Horowitz M. Comparing angiographic devascularization with histologic penetration after preoperative tumor embolization with Onyx: what indicates an effective procedure. J Neurol Surg A Cent Eur Neurosurg. 2015 Jul;76(4):309-17. Snyderman CH, Wang EW, Fernandez-Miranda JC, Gardner PA. Response to Letter to the Editor on “Extended inferior turbinate flap for endoscopic reconstruction of skull base defects”. J Neurol Surg B 2014;75(B4):225-30. J Neurolog Surg B Skull Base. 2015 Jun;76(3):248. Vaz-Guimaraes F, Gardner PA, Fernandez-Miranda JC. Fully endoscopic retrosigmoid approach for posterior petrous meningioma and trigeminal microvascular decompression. Acta Neurochir (Wien). 2015 Apr;157(4):611-5; discussion 615. Chen SH, Grandhi R, Deibert CP, Jovin TG, Gardner PA, Ducruet AF. Coil herniation following intra-arterial verapamil infusion for the treatment of cerebral vasospasm: Case report and literature review. Interv Neuroradiol. 2015 Apr;21(2):184-7. Vaezi A, Cardenas E, Pinheiro-Neto C, Paluzzi A, Branstetter BF 4th, Gardner PA, Snyderman CH, Fernandez-Miranda JC. Classification of sphenoid sinus pneumatization: relevance for endoscopic skull base surgery. Laryngoscope. 2015 Mar;125(3):577-81. Choby GW, Mattos JL, Hughes MA, Fernandez-Miranda JC, Gardner PA, Snyderman CH, Wang EW. Delayed nasoseptal flaps for endoscopic skull base reconstruction: proof of concept and evaluation of outcomes. Otolaryngol Head Neck Surg. 2015 Feb; 152(2):255-9. Zeinalizadeh M, Habibi Z, Fernandez-Miranda JC, Gardner PA, Hodak SP, Challinor SM. Discordance between growth hormone and insulin-like growth factor-1 after pituitary surgery for acromegaly: a stepwise approach and management. Pituitary. 2015 Feb;18(1):48-59. Rastatter JC, Snyderman CH, Gardner PA, Alden TD, Tyler-Kabara E. Endoscopic endonasal surgery for sinonasal and skull base lesions in the pediatric population. Otolaryngol Clin North Am. 2015 Feb;48(1):79-99.